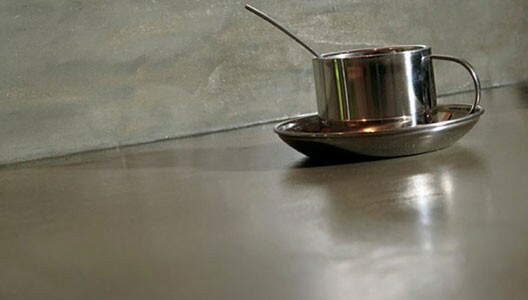 Micro topped polished concrete is very popular with domestic and commercial clients who require a bespoke, seamless and hardwearing finish. 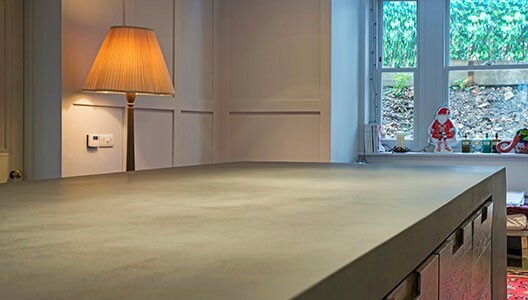 Béton Ciré is a stunning cement and resin-based decorative plaster also known in the UK as Micro Top Concrete, Concrete Overlay, Polished Cement, Waxed Concrete, Micro Topping or Micro-cement. 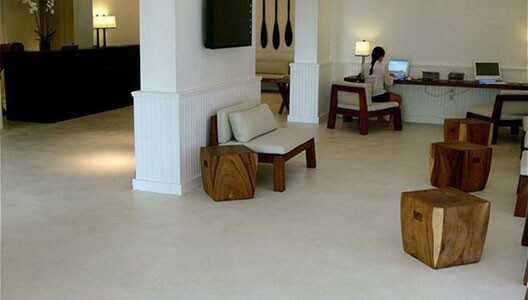 Micro Topped Polished Concrete was initially used for large floor areas in industrial premises and its composition and formulation has been developed to produce material that combines robustness with aesthetic qualities. The mechanical capacities of cement in concrete and mortar form have earned it a predominant place in construction. 25 years of research into its composition and application have allowed our specialist supplier Marius Aurenti to formulate new and exceptionally pure materials. 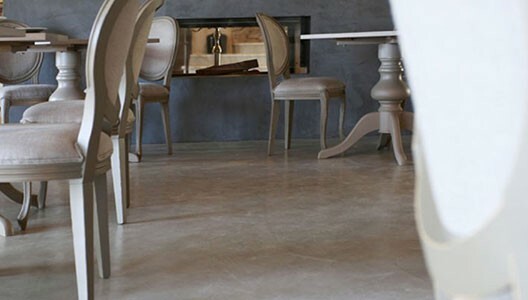 The revolutionary Micro Top polished concrete mortar has opened new paths in the world of decoration. 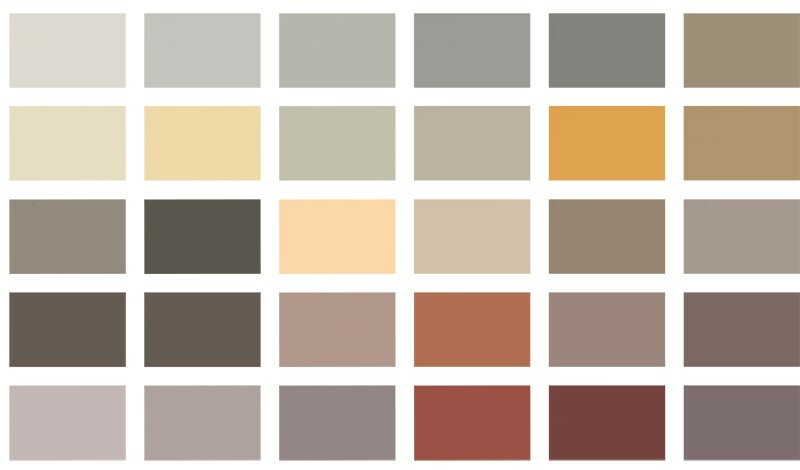 Our finishes give all interior and exterior surfaces a modern and mineral character and can positively transform any space by creating an ambience that conveys both strength and softness. 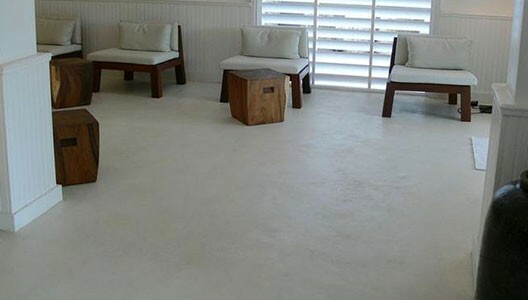 Waterproof, hardwearing and seamless, with no specific expansion joints, only 2-3 mm thick, it can easily be used to cover a wide range of both new and renovated surfaces such as kitchen and bathroom floors and walls, highly frequented floor areas, kitchen worktops, walk-in showers, swimming pools, staircases and many more. Béton Ciré can be easily applied to numerous surfaces. Beautifully finished with unique designs and colours, it is an extremely durable, decorative layer, which can be applied over existing wooden, concrete and ceramic flooring. When renovating a tiled floor, the enhancement is often spectacular with no change to the floor level. 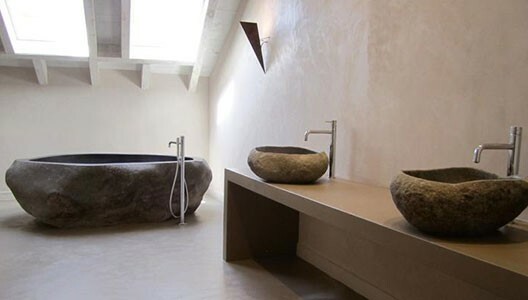 The extensive range of applications means that our micro top concrete is exceptionally well suited to use in renovation work. After drying and finishing it is as tough as stone and shock resistant. 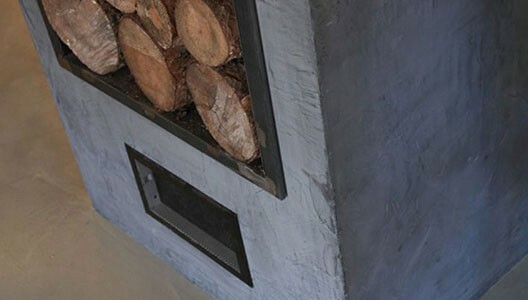 It blends perfectly with unfinished materials such as steel and wood and can also be used to redesign open fires and staircases. 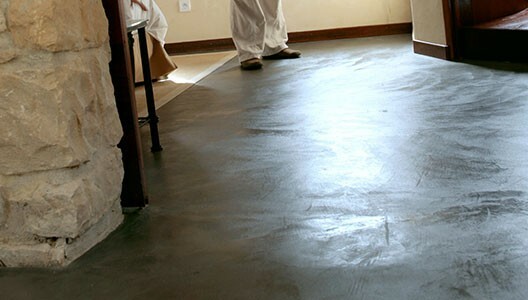 Flexible to work with and waterproof, it has excellent adhesive qualities, allowing a further variety of applications; it is ideal for highly frequented floor areas, bathroom and kitchen floors and walls, showers and wet rooms, swimming-pools, kitchen worktops and work-surfaces, staircases and patios. It can also be applied on furniture, sinks and bath tubs. Slightly granular, somewhere between sand and powder, our Béton Ciré – micro topped polished concrete finish is full of the surprises normally provided by organic materials. It is hard wearing when varnished and when used in kitchens it will resist grease, fat and acid. As a technical material, it can be worked like aged concrete. Formulated from selected cements, fine sands, resins, additives and natural pigments, this highly resistant mineral material is applied in two to three fine coats with a total thickness of 2-3 millimetres. The high elasticity of the material ensures that it will not crack, the final finish requires minimal maintenance and lasts a very long time. Use of the protective varnishes and waxes will make the finished surface wear-resistant, hardwearing and extremely durable. We can create sophisticated contrasts thanks to tailor-made inlays. 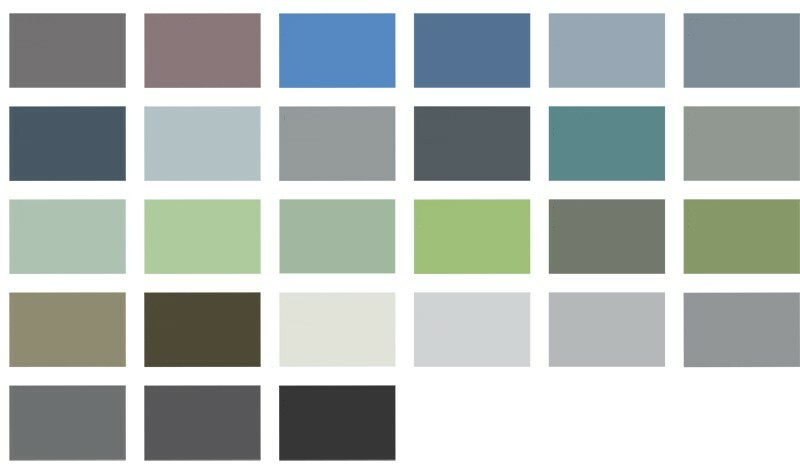 With our application tools we can make the grey darker and lighter in places, creating a shimmering result. All materials are applied using precise surface preparation, matt, satin or gloss finish and maintenance methods, for maximum durability. In order to guarantee enduring structures, the design, implementation of materials and finishes must be carefully prepared with the advice of our technicians and application craftsmen. 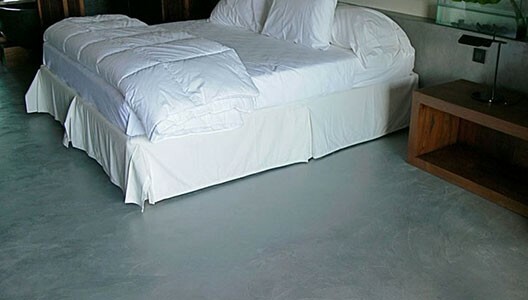 Our Béton Ciré – micro topped polished concrete is available in over 50 mineral colours.